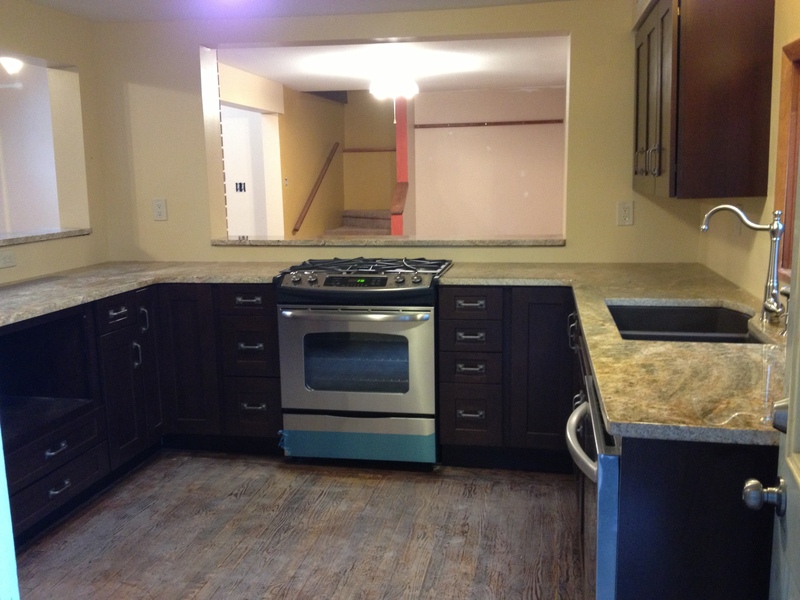 A kitchen remodel with before and after pics. The dining area was directly on other side of wall where the new stove is so we took a section out to open up the space. There were wood floors throughout the house that just needed a good sanding and finish. We also put new carpet in bedrooms and up staircase…it made such a difference.